Tif Blue is the making maven behind Peach Treats, a local business specializing in custom, one-of-a-kind jewelry and bold statement pieces. 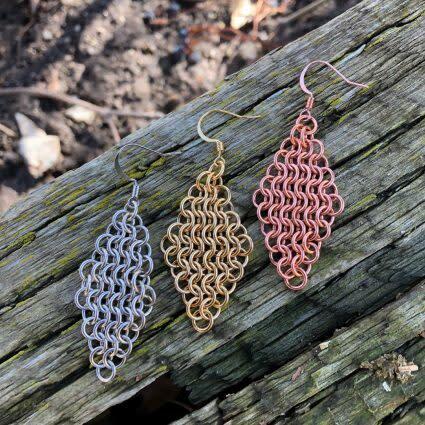 In this beginner-focused workshop, attendees will learn about the origins of the chainmaille technique of jewelry creation. 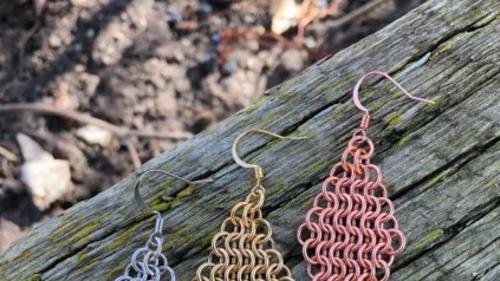 Participants will practice how to use jewelry tools and jump rings, and then make their own pair of gold, silver or copper-colored earrings to wear or share.